For most people, chickens are little more than a source of protein or eggs. This story is about a little chick with a problem and people trying to help solve it. Nikki Rush is a disabled Air Force veteran who loves animals. “We have some horses, dogs and chickens,” she said. Her fiance is a police officer who’s rescued dogs in his off-time. They make a good couple. Late last year, Rush said a stray dog killed her adult chickens. All that was left were some eggs, and she was determined that they hatch, so she got an incubator. “It didn’t work out,” she said. When the largest egg hatched, a larger-than-normal chick emerged, but couldn’t stand. One of its legs was rotated. Compare it to a human leg in which the foot faced backwards. She gave the chick a name: Baby Huey. She took him to Gulf Coast Veterinary Specialists in Houston. Dr. Brian Beale is an avian surgeon, meaning he operates on birds. In preparation for the surgery, he will create a 3-D model of the chick’s rotated leg and practice the procedure in advance. Rush was told surgery was the best option for giving Huey use of his leg. The price for the operation and rehab was over $3,000. That’s more than Rush could afford. Beale referred her to a vegan animal sanctuary in Angleton for guidance. 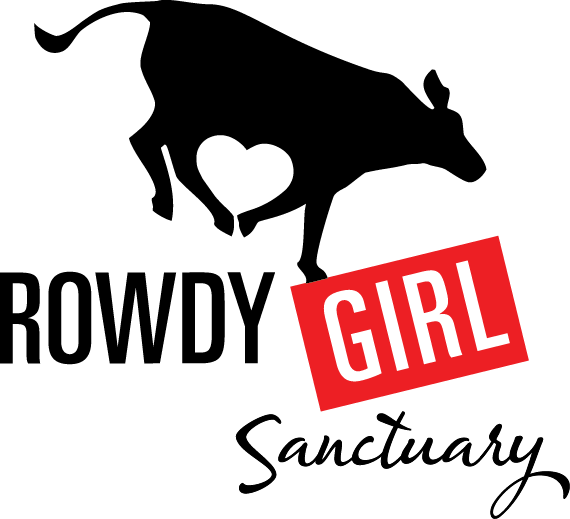 Rowdy Girl Sanctuary was founded by Rene King-Sonnen in recent years. It turned her husband’s cattle ranch into a non-profit sanctuary for farm animals that might have otherwise been put down or slaughtered. She is also a leading advocate for the vegan lifestyle. “Nikki said she was willing to set up a GoFundMe account to help take care of the surgery, and one thing led to another,” she said. Baby Huey will become a permanent resident of the sanctuary when he recovers from the operation. The surgery and the patient was unusual enough to attract the attention of NatGeo Wild’s cable program “Animal ER.” Huey’s story and progress is expected to be a segment in a future episode. Sanctuary volunteer Cherie Holman has grown close to Huey. She also sees him as a kind of ambassador for his species. He’s a little thing, living with a disability, and he has a remarkable spirit, she believes. “He’s somebody, not something and he has a name,” she added. The operation is scheduled for next week while funds are still being raised. For more information on Baby Huey’s story, go to GoFundMe.com page.